As you can imagine, finding human volunteers willing to let first year dental students practice on them isn’t the world’s easiest task. Scientists at Showa University in Tokyo, Japan had first created Showa Hanako over a decade ago. But in recent years, there have been a variety of improvements made to the robot so that acts like a patient. It was designed to move, act and feel like a real human being. Shawa Hanako 2 possesses a number of human qualities such as the ability to speak, cough, shakes its head, gag, close its mouth if its been open for too long or too wide, blink and flinch. Other human like qualities include its silicone skin, mouth lining, and a motorized movement of its head and arms. 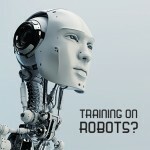 Not only does the robot provide students with skill training but also psychological training. Students are better prepared for the challenges they will encounter during their practice because interacting with a human like robot can trigger the same emotions that doctors might experience when dealing with real patients.